Known for its consistent quality, our Solvent Blue 35 dyes are made using excellent quality base materials. 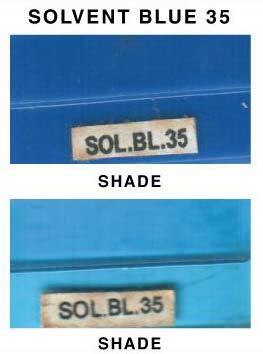 Our company is enlisted among the proficient Manufacturers, Suppliers and Exporters of Solvent Blue 35 from Maharashtra. Our Dye is highly acclaimed for its unmatched chemical properties and purity. Buyers can obtain the Dyes at market-leading rates from us.